An independent estate agent is celebrating having opened a brand new office within Crystal Peaks Shopping Centre and recording their most successful month of business to date. 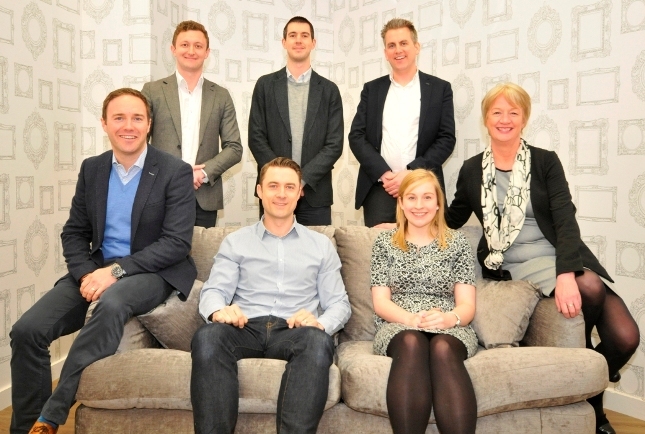 The latest branch opening for Redbrik Estate Agency is the company’s third since they launched in 2013. The other branches are located in Chesterfield and Millhouses. Peter Lee, one of Sheffield leading property figures is heading up the Crystal Peaks office alongside highly experienced branch manager David Cooper. Peter said: “We are absolutely delighted to have opened within Crystal Peaks and are really looking forward to showing our customers what makes Redbrik different and demonstrate our outstanding levels of customer service. “In the competitive market place agents need to differentiate in ways that benefit the customer. Delivering outstanding service is what our customer’s value most and therefore it is integral to everything we do. “We are focussed on getting every client the best deal and just generally being nice people. We don’t work to targets, avoid jargon and aim to give the best possible advice tailored to each individual. Our knowledge, service and presentation get the results vendors deserve. “Before our office had officially opened we had sold a number of properties within the Crystal Peaks area as people have been experiencing first-hand the benefits of choosing Redbrik and telling their friends and family. “To have opened three offices within two years is something which we are exceptionally proud of especially having just recorded our best ever month of business.